When we last left our intrepid tiny blue friends, they had just . . . oh, why bother explaining the plot of this film’s predecessor, “The Smurfs,” when it’s going to be difficult enough to write about this sequel’s ridiculous storyline? And, unless one is either under the age of four or in a drug-induced coma, they are not likely to care an iota about it anyway. With Neil Patrick Harris (“A Very Harold & Kumar 3D Christmas“) sleepwalking through his repeat role of Patrick Winslow and Hank Azaria (“Lovelace“) as the evil wizard Gargamel playing it so far over the top he falls off the other side, adults are most likely to tag along with the tots only to forget this one by the time they get home. 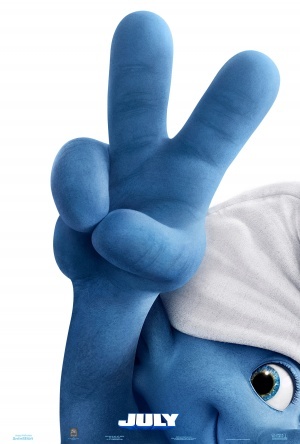 Like most sequels, The Smurfs 2 does not live up to the original, which in turn was never something worth living up to in the first place. It does live longer, though, dragging on for 105 minutes (two minutes longer than the first go round). Here, as directed by Raja Gosnell (who has helmed such classics as “Home Alone 3,” and “Beverly Hills Chihuahua“), the Smurfs are happy and healthy back in their quaint village. Happy, except for the group’s only female, Smurfette (voice of singer Katy Perry), who’s depressed because she thinks everyone forgot her birthday (get used to it, kid). 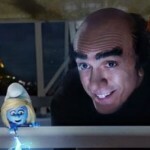 Meanwhile, Gargamel — who is now a big-time David Blaine-type illusionist in the world of humans — is hatching a plot wherein he uses his two gray Smurf-like minions, the tomboyish Vexy (voice of Christina Ricci, “Black Snake Moan“) and the idiotic Hackus (voice of J.B. Smoove, “Hall Pass“), to kidnap Smurfette so he can extract her essence, or something like that. Unfortunately, once she is missing, Papa Smurf (voice of the late Jonathan Winters, “The Smurfs,” but I’d rather remember him from “It’s a Mad Mad Mad Mad World,” among other better films) along with Grouchy (voice of George Lopez, “Rio,” and a wealth of other voiceover work), Clumsy (voice of Anton Yelchin, “Star Trek Into Darkness“) and Vanity (voice of John Oliver, “The Love Guru“), locate Patrick and his family to help solve the mystery. Turns out that Pat is an uptight parent entertaining equally snobbish couples at his son’s excruciatingly unfunny birthday party sequence. 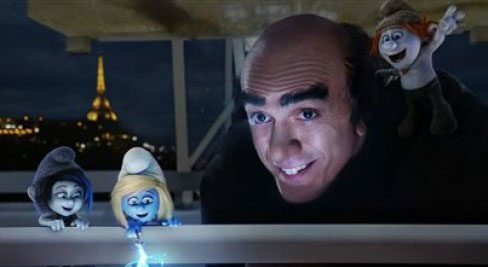 Discovering that Gargamel has a show in Paris, the group — with nondescript tyke Blue (Jacob Tremblay) and gruff stepdad Victor (Brendan Gleeson, “The Raven“) in tow — whisks off to the City of Lights with nary a jump cut. While there, Smurfette, who was evidently created by the bad wizard becomes fast friends with Vexy and even offers to share the secret formula that Papa used to turn her blue — a concoction that will allow Gargamel to somehow rule the world. It’s all about potions and magic and essences, all of which are needed to keep the average person awake during all of this nonsense. So-so effects, little or no pacing, a drag in the middle and totally unnecessary 3D technology highlight the pointlessness of it all. Be aware of a definite mean streak which runs through the movie as well as a complete lack of humor (or anything close to that emotion), despite the fact that Azaria (who voices about a dozen characters on “The Simpsons” TV show) does his best with what little he is given. So, like “Garfield: A Tail of Two Kitties,” “Alvin and the Chipmunks” and “Yogi Bear” — films which tried to incorporate CGI with live action — The Smurfs 2 comes up woefully short, leaving “Who Framed Roger Rabbit” as the still clear-cut winner of the genre, and that particular production is more than 25 years old. So why not just buy, rent or record that picture, save a trip to the cinema and call it a weekend. You would most certainly be doing worse by seeing The Smurfs 2. Lowest of the low. A terrible movie on every level. How upsetting. 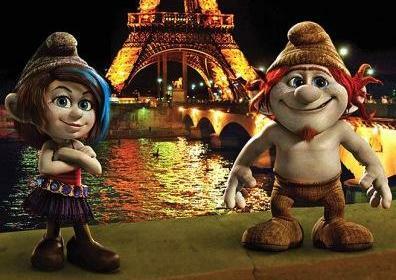 I honestly thought Smurfs 2 was going to be the movie of the year. Decade even.